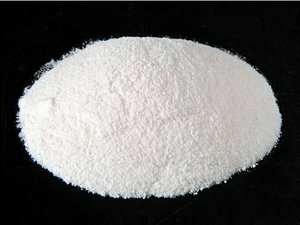 Gellan Gum(E418) is a water-soluble polysaccharide, created by the bacterium sphingomonas elodea through bacterial fermentation. The amount for the growth of microorganisms is half needed than agar at temperatures of 120°C due to the thermally stable property. Therefore, it can take place of agar as a better cultivated composition. The biopolymer is produced with two acyl substituents present on the 3-linked glucose, namely, L-glyceryl, positioned at O(2), and an acetyl substituent at O(6). Using it as an anti-settling agent, stabilizer and thickener in various industries including food, beverage, pharmaceutical, cosmetics, agriculture feed and various other industries. The most common way for gellan gum is either using alone or in combination with other products when cooking, for the purpose of preventing separation of ingredients. It is safe to most people, but you should limit the quantity of any added emulsifiers, including gellan gum. If you have intestinal problems, then you should avoid eating too much of it. A mouse study showed that it caused gut issues due to its generated source of bacterial fermentation. Generally speaking, this food adiitives are difficult to digest. They seem harmless in small doses, but could possibly exacerbate gut issues if over intake. This food additive is the common vegan food additive because it is from bacterial fermentation source rather than from animal source. Dairies like almond milk, coconut milk and yogurt usually need some kind of added stabilizer and thickener to prevent separation of ingredients. This is where gellan gum comes in handy. Gellan gum recipe are more suitable for vegetarian, Muslims and Jews, although this depends on the specific product. What is E405 Food Additive? What Is E202 Food Additive? What is E418 Food Additive?